A century later, 2019 shows signs of being another big year—and a precarious one, as WRI President and CEO Andrew Steer explained at the Institute’s annual Stories to Watch presentation on January 9 in Washington. 1. Will geopolitics stymie international climate action? Political shakeups in several major countries make the future of international climate action uncertain. Brazil’s government swung far right in 2018 with the election of President Jair Bolsonaro, while Mexico moved left with new President Andres Manuel Lopez Obrador. Looking ahead to 2019, voters in India and Indonesia will cast ballots while China faces the challenge of an economic slowdown. Global emissions rose in 2017 and 2018, after a three-year plateau. Two key moments will show how these changes will affect international climate action: at the UN climate summit in September, will national leaders indicate they will step up with ambitious climate commitments? Will they increase funding for the Green Climate Fund, which invests in low-emission and climate-resilient development, during its replenishment period in October? And will businesses outpace governments on bold climate action? 2. 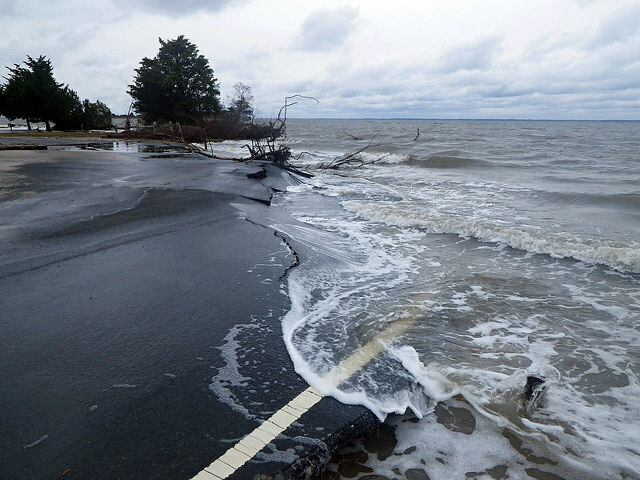 Will climate adaptation rise on the global agenda? The impacts of climate change have never been clearer or more threatening. The number of extreme climate-related disasters, like droughts and floods, has doubled since the 1990s. More than 150 million more people are exposed to heat-related health risks today than in 2000. Yet there’s a lack of leadership, metrics and finance to help people adapt to the results of a changing climate. “Adaptation has been the poor sister of mitigation,” Steer said. That could change this year. The World Bank announced that half of its climate investments will now go toward adaptation. A new Global Commission on Adaptation, led by Kristalina Georgieva, Ban Ki-moon and Bill Gates, was launched in October 2018 and aims to raise the profile of adaptation and accelerate action around the world. The Commission, convened by 17 countries, will release a flagship research report in September along with several action tracks to address specific adaptation challenges. 3. Will “fast fashion” slow down? Consumers are buying 60 percent more clothes today than they did in 2000, and one garbage truck of discarded clothing is burned or sent to a landfill every second of every day. The social and environmental impacts of “fast fashion” are impossible to ignore. 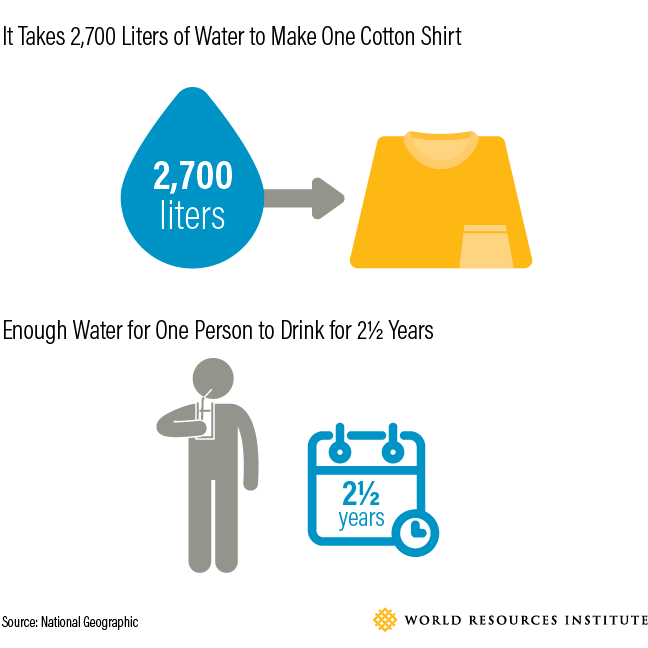 For example: One cotton t-shirt requires 2,700 liters (more than 700 gallons) of water to produce, an amount that would provide drinking water for the average person for two-and-a-half years. There are very early signs of an industry beginning to address these challenges, with considerable growth in clothing reuse and rental companies like Rent the Runway and The RealReal. Manufacturers are experimenting with more sustainable fabrics like lab-grown leather and fruit-based fibers. Will these new business models be a lasting trend or a passing fad? Later this year, the Sustainable Apparel Coalition will launch a reporting platform where companies can share information on their sustainability. The coalition aims to eventually provide performance scores for brands, products and factories. Also this year, the Science-Based Targets initiative will release guidance for apparel and footwear, which can help companies set emissions-reduction targets in line with the latest climate science. 4. 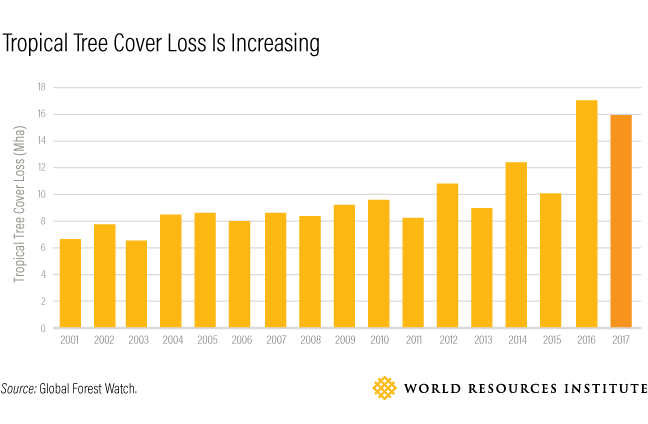 Will commodity companies follow through on their commitments to curb deforestation? Will companies that set 2020 targets persevere? And will more governments engage and support these efforts? Watch for an anti-deforestation roadmap from the European Commission; whether Indonesia continues to slow its deforestation; and whether President Bolsonaro opens the Amazon to commodity development. Look for public-private collaboration [AF1] at the Tropical Forest Alliance Assembly in May and whether growing attention to biodiversity adds pressure. 5. Will the Belt and Road Initiative support green growth? China’s Belt and Road Initiative is a major global development endeavor, involving the construction of roads, ports and other infrastructure in more than 100 countries. 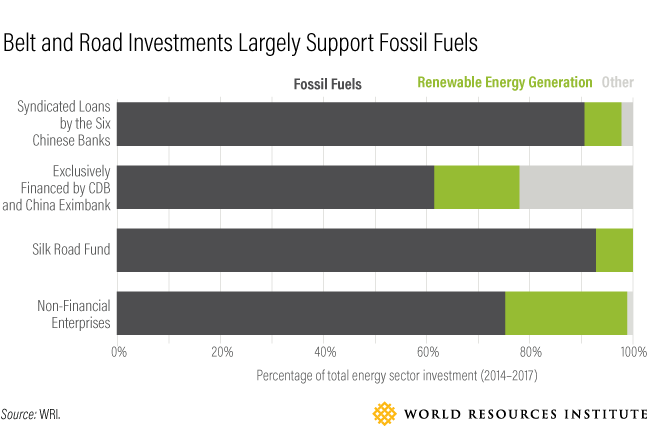 Yet while Chinese leaders advocate “eco-environment protection” in all aspects of the Belt and Road, research shows that most of the initiative’s energy investments currently favor fossil fuels over renewable energy. 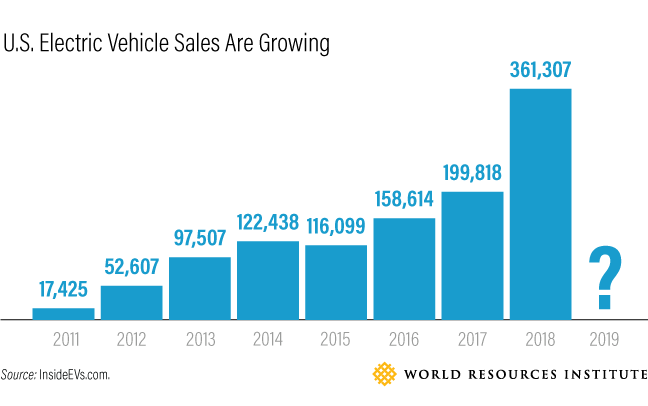 This year will be key for evaluating whether China is serious about making the mammoth undertaking more environmentally sustainable. A major 2019 forum is a good moment for crafting sustainability guidelines for the initiative’s projects. Other signs of progress will be whether China ramps up renewable energy investments abroad, as it has already done domestically, and whether countries’ climate plans begin informing Belt and Road investments. 6. 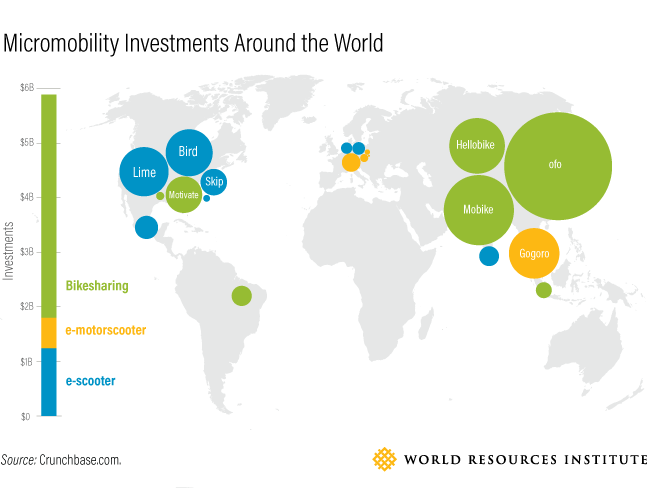 Micromobility: A fad, or the future? Shared bikes and scooters are taking off in cities around the world. 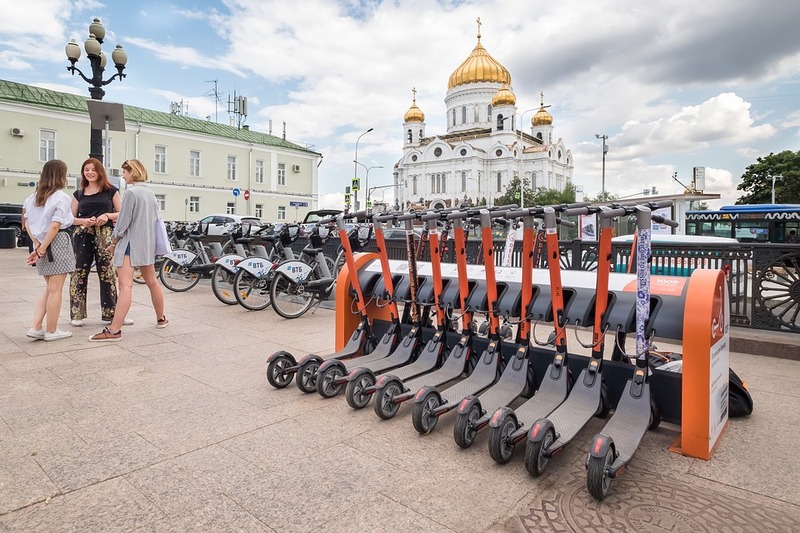 Case in point: Bird, an electric scooter rental company, is the fastest startup ever to reach “unicorn status,” a $1 billion valuation. Yet this shared micromobility revolution has a downside: Some bikes and scooters are low quality, leading to breakdowns and waste, while others pile up on sidewalks, crowding out pedestrians. There are also safety concerns. So will shared scooters and bikes be a fad or a fixture in urban landscapes? Decisions made this year could help ensure it’s the latter. Ford, Uber, Lyft and General Motors are already entering the micromobility space. Will other companies join? Watch how cities regulate shared bikes and scooters, including when it comes to permits, pricing and safety. The forthcoming New Urban Mobility Alliance (NUMO) can help provide guidance. The big question is whether urban leaders and planners will focus more on designing streets to favor people and micromobility over cars. 7. 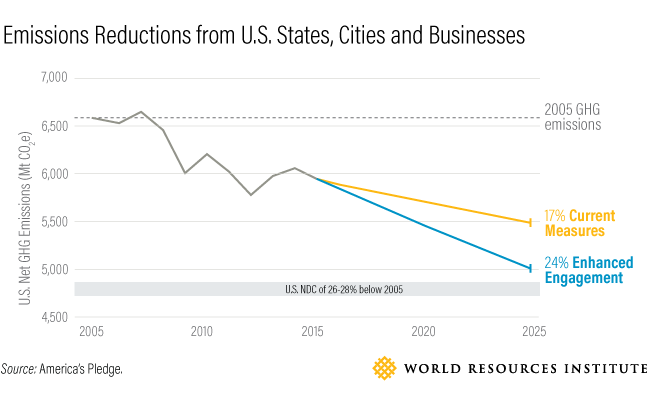 Is U.S. climate action at a turning point? The Trump administration has tried to roll back more than 70 environmental safeguards, and counting. But U.S. climate action isn’t dead. In fact, states, cities and businesses are pushing forward, expanding renewable energy targets and carbon pricing. The 2018 midterm elections ushered in a new batch of climate leaders, including 10 new governors with clean energy plans and more members of Congress who support climate action. The Green New Deal is injecting more enthusiasm into the climate debate than has been seen in recent years. Watch for new carbon pricing initiatives, additional states joining the 29 that already have clean energy plans, and approaches by states and businesses to tackle emissions from transportation, the country’s largest-emitting sector. Will Congress support carbon pricing, release a new infrastructure deal, or provide more funding for clean technologies? And what stance will 2020 presidential hopefuls take on climate? For more information, watch the recording of WRI’s Stories to Watch 2019 event.